Compatible with: Passer alt - "en stol er en stol"
Direct Drive & Belt Drive Wheel Ready! Reinforced Angle and Distance Adjustable Pedal Mount, suitable for all the big brands! The RS6’s 2″ Iron Construction will ensure stable Game Play with Direct Drive Wheels and more. Following the launch of the RS6 Mach 1, we found many of our clients that purchased also had a high-end wheel. What we did was add an extra support, increase welding and increase material thickness. Bolted to the chassis with 8 Screws, the Wheel Deck on the upgraded RS6 will prove to be the strongest amongst it’s competition. After it’s stability, the Wheel Deck is the stand-out feature of the RS6 with height adjustment, the ability to slide 30mm for the perfect grip and angle adjustment to give you the most comfortable driving position. Pre-drilled mounting points for all the major brand wheels including Accuforce, Fanatec, Logitech, Thrustmaster and more. The RS6 Pedal Deck gains it’s strength from the frame on the underside of it. It’s adjustable with it’s sliding feature up to 100mm and has angle adjustment for the most comfortable driving position of any simulator on the market. Pre-drilled mounting points for all the major brand wheels including Fanatec, Logitech, Thrustmaster and more. The included shifter mount incorporates 2-point-slide and angle adjustment functionality. Pre-drilled mounting points for all the major brand wheels including Fanatec, Logitech, Thrustmaster and more. 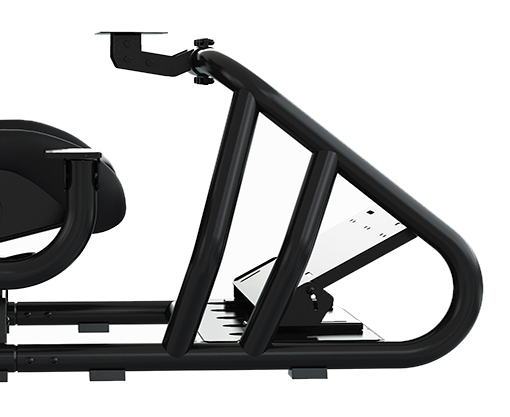 Trak Racer know you hate movement during game time which is why our cockpits have been designed and tested alongside the worlds strongest and most professional peripherals on the market. Trak Racer RS6 Pictured with Heusinkveld Pro pedals (not included). 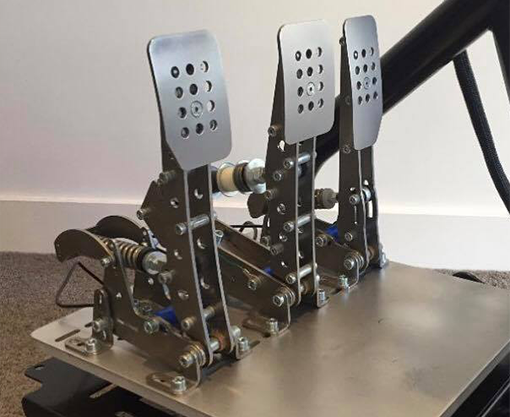 Trak Racer know you hate movement of your pedal plate and instability so we designed our pedal mounting system in a way to reduce it. Trak Racer RS6 Pictured. Pedals not included. 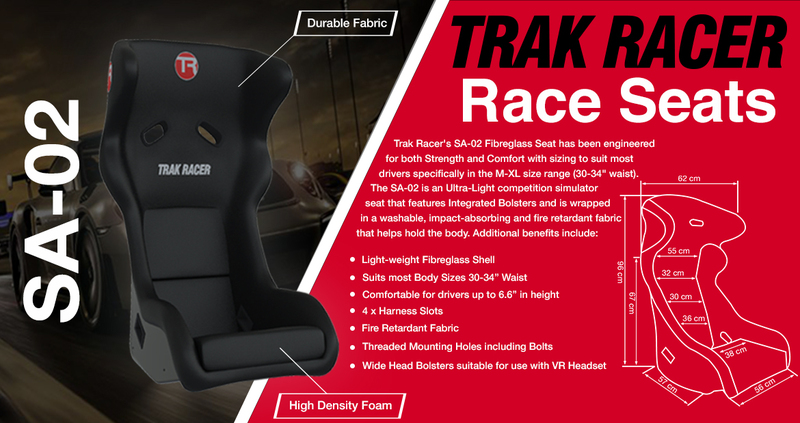 Trak Racer has become renowned for both it’s strength and compatibility with all the top brand gaming peripherals on the market.Wheel, Pedals, Shifter and Handbrake are not included unless mentioned in the description.